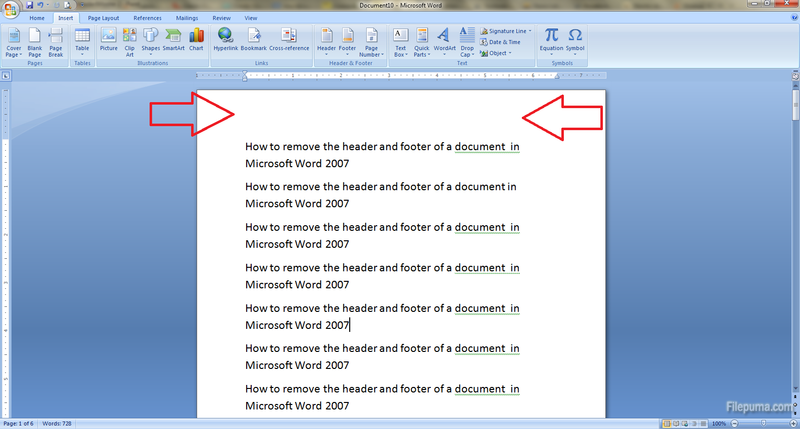 How to remove the header and footer of a document in Microsoft Word 2007? Let’s say you got a document and you want to work on it but you don’t want those official header and footer that only take up precious space and attract attention. If it’s just some text you can just double click on it and delete it but you will still have some kind of [Type text] generic message. 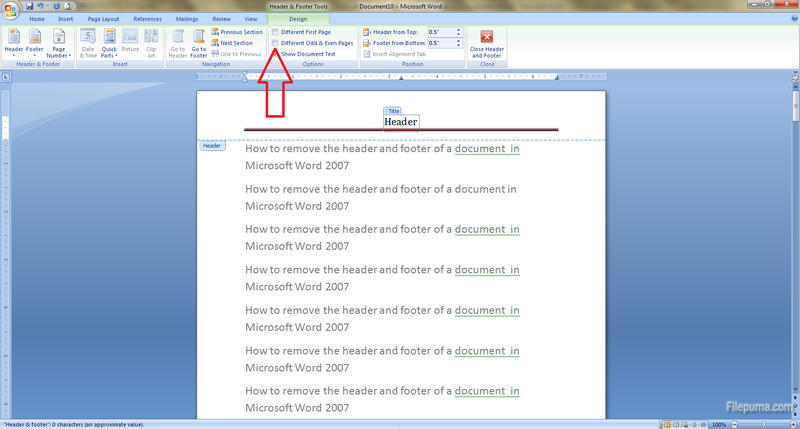 Here’s how you get rid of the header and footer much easier. Step 1: Click on the Insert tab. 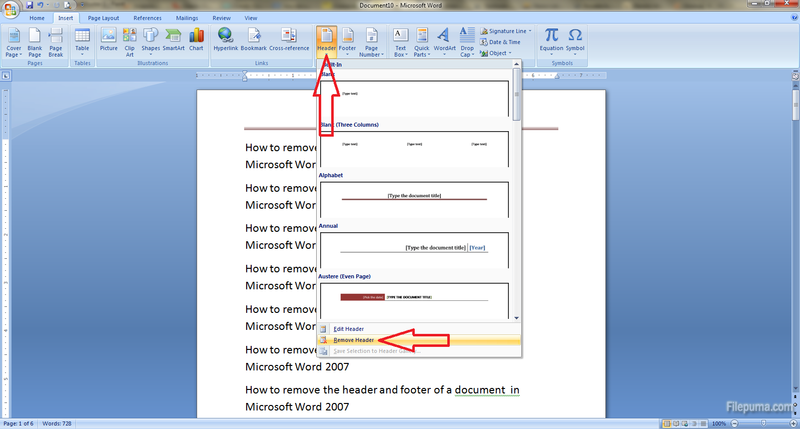 Step 2: Click on the Header tab and select Remove Header option from the drop down menu. 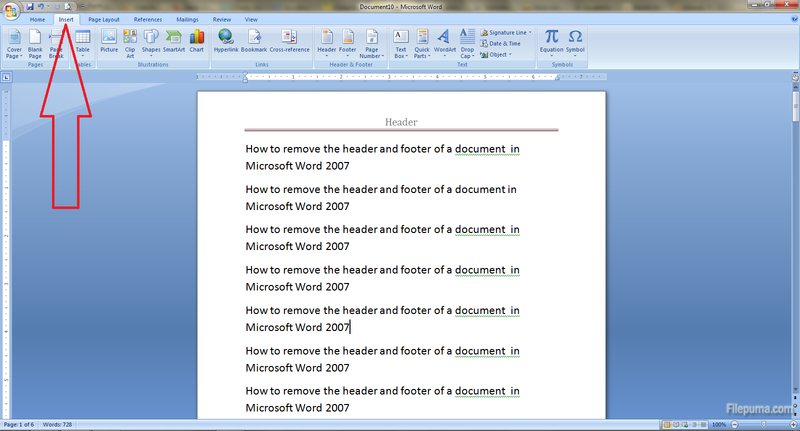 Step3: Sometimes you will have the surprise to see that the next page has another header. Don’t panic. Just double click on the other header and uncheck the Different Odd & Even Pages and Different First Page boxes if they are checked and now all the headers will be gone.